In some hotels there are no available rooms for the dates we have chosen. Most hotels report that the indicated price is a discounted price (special offer). We will not know whether there will be discounts for other dates. Prices may vary significantly for other dates. We checked prices for one night from 16 to 17 August (from Tuesday to Wednesday). Prices for weekends can be a little higher. Ritz-Carlton Moscow (5-stars). Address: Tverskaya Street 3, Moscow, Russia. The cost of a double room in the hotel is 29500 rubles. Savoy Hotel (5-stars). Address: Rozhdestvenka Street 3/6 Building 1, Moscow, Russia. The cost for a double room is 15340 rubles, for a single room 16520. National Hotel (5-stars). Address: 15/1 Mokhovaya Street, Moscow, Russia. The price for a double room in the hotel is 13800 rubles. Metropol Hotel (5-stars). Address: Theaterakny proyezd 2, Moscow, Russia. The price for a double room in the hotel is 13000 rubles. StendArt Hotel (5-stars). Address: Strastnoy Boulevard, 2, Moscow, Russia. The cost of a double room is 12450 rubles (at a discount). Maroseika Hotel 2/15 (3-stars). Address: Maroseika Street 2/15, Moscow, Russia. The price is 6500 rubles for a double room, 6000 for a single room. Kitay-Gorod Hotel (2-stars). Address: Lubyansky Proezd 25 Building 2, Moscow, Russia. The price is 5500 rubles for a double room. Matryoshka Hotel (3-stars). Address: Teatralny Proezd 3 Building 4, Moscow, Russia. The price is 4000 rubles (this is a discount price). Troika Hotel (3-stars). Address: 5, Sadovnicheskaya Street, Moscow, Russia. The price for a double room in the hotel is 4000 rubles. Kremlin Lights Hostel. Address: Volkhonka Street 5/6 Building 4, Moscow, Russia. The cost of living is from 800 rubles per bed in the common room. Family room (up to six people) price is 5900 rubles. Friday Hostel. Address: Bolshaya Spasoglinischevsky lane 6/1, apartment 32, Moscow, Russia. The cost of living is from 600 to 700 rubles for bed in a common room. Arbat Landmark Hostel. Address: Starovagankovsky Pereulok 15, Moscow, Russia. The cost of night is from 690 to 790 rubles per bed in a common room. Kremlevsky Hostel. Address: Kremlinskaya Naberezhnaya, 1/9, Building 9, Moscow, Russia. The cost is from 700 rubles per bed in a common room to 3100 rubles for a triple room. Red Kremlin Hostel. Address: Starovagankovsky Pereulok, Building 19, Building 3, Moscow, Russia. Cost of living: 2090 for a double room, 450 rubles for a bed in a common room (price with a 40% discount). 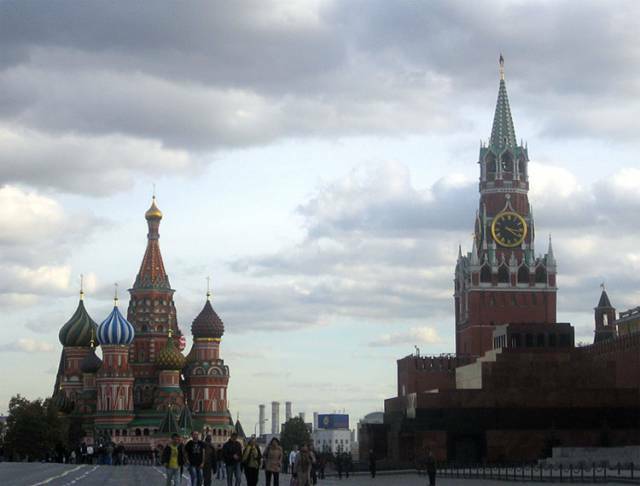 You may also be interested in - the hotels located next to the Red Square in Moscow. If you plan to visit Moscow at the height of the tourist season, it will be better to book a hotel room in advance, as soon as you know the dates of your trip. By the way, the room in many hotels in Russia can be booked without a bank card. Check prices and availability for the dates of your trip.